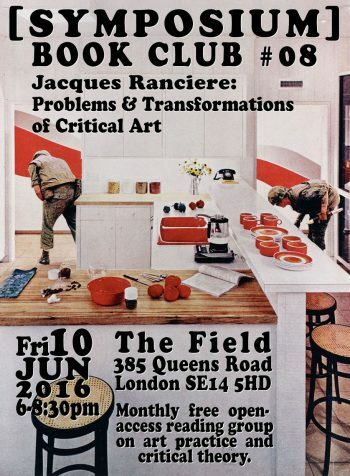 For June we have selected Jacques Rancière’s essay Problems and Transformations of Critical Art. This discussion will be chaired by Stephen Bennett. DOWNLOAD: Rancière, Jacques (2009/2004). Problems and Transformations of Critical Art. In Aesthetics and Its Discontents. Cambridge: Polity Press, pp. 45-60. Juno Ludovisi plaster cast. 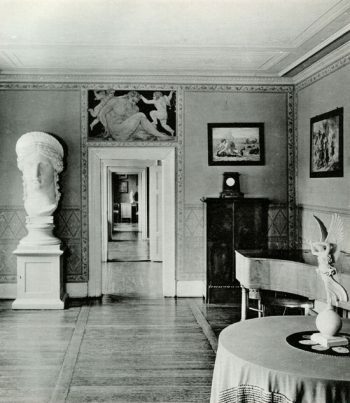 Junozimmer, Goethe Haus, Weimar. Photo NFG Library and KG Beyer, Weimar 1975, plate 8. If politics consists of distributing the sensible, then politics for Jacques Rancière turns out to have its own specific aesthetics. Likewise, aesthetics has its own specific politics. The problem of art for Rancière is not the clash between art and politics, but the clash between the politics internal to art’s own conditions of existence (its autonomy). Following Peter Bürger, Rancière describes this as a tension between formalist art (art’s withdrawal from the social) and political art (art’s dissolution within the social). Borrowing Theodor Adorno’s idea of the necessary interplay between autonomy and heteronomy in art, Rancière suggests that to be critical, art must negotiate between art and non-art. Hence, critical art “plays on the union and tension of different aesthetic politics… crossing the border between the world of art and the prosaic world of the commodity”. Following Walter Benjamin, Rancière proposes the collage as such a “third way”. In the second part of the essay, Ranciere elaborates on four different forms of heterogeneity in contemporary art: the game, the inventory, the encounter and the mystery. What are the consequences of this thesis for contemporary art practice? How does it re-frame traditional accounts of the transition from modernism to postmodernism? Why has Rancière been the most popular philosopher in the art world since Jean Baudrillard? 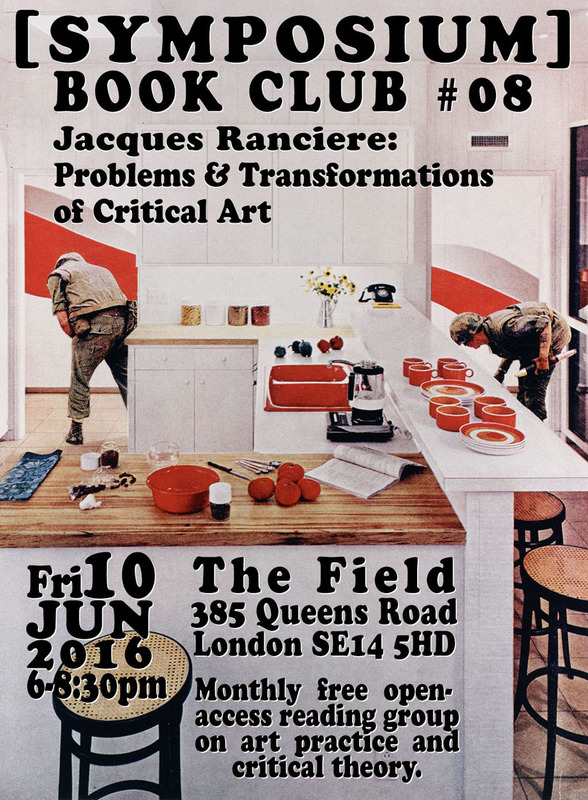 [SYMPOSIUM] BOOK CLUB #8 Rancière: Problems & Transformations of Critical Art, Friday 10 June 2016, 6:00-8:30pm. Adorno, Theodor (2002/1970). Aesthetic Theory. Trans. Robert Hullot-Kentor. London: Continuum. Benjamin, Walter (1969/1934). The Author as Producer. In Reflections, New York: Schocken, pp. 220-238. Buchloh, Benjamin H. D. (1990). Conceptual Art 1962-1969: From the Aesthetic of Administration to the Critique of Institutions. October 55, Winter 1990. Cambridge: MIT Press, pp. 105-143. Bürger, Peter (2007/1974). Theory of the Avant-Garde. Minneapolis: University of Minnesota Press. Ranciere, Jacques (2004). Politics of Aesthetics: The Distribution of the Sensible. London and New York: Continuum (includes a glossary of Ranciere’s terms in Appendix I, pp. 80-93).